Little Heroes Pediatric Dentistry’s founding cape crusader, Dr. Sergio Guzman is a board certified pediatric dentist with three dental practices in the South Texas region. Raised in McAllen, Texas, Dr. Guzman was a little hero with big dreams. He learned early that success starts with a smile, and has been defending the little grins of South Texas heroes ever since. Dr. Guzman earned his Doctor of Dental Surgery at the University of Texas Health Science Center at San Antonio. He then took on the big apple where he completed two years of specialty training in pediatric dentistry at Columbia University in the heart of New York City. His experience was amazing, but the open skies of Texas beckoned. Now, Dr. Guzman is calling all Little Heroes in the Rio Grande Valley and Laredo! “Come join the Little Heroes team and learn how to defend your super smile”! 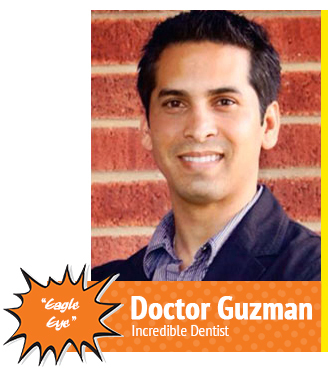 Dr. Guzman is an avid superhero collector and enjoys spending time with his wife Vanessa Guzman and their son Noah. 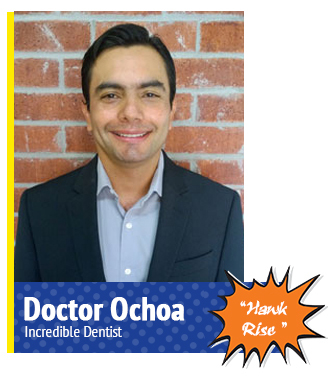 Dr. Alexander Ochoa Falla is a board-certified pediatric dentist. He received his first dental degree at the Pontificia Universidad Javeriana in Bogota, Colombia in 1998 and worked for several years as a general dentist. He moved to the United States and earned his second Doctor of Dental Surgery degree at the University of Colorado in Denver. He continued to pursue specialty training and received his certificate in Pediatric Dentistry and Master of Science in Dentistry from the University of Texas Health Science Center at Houston. Dr Ochoa enjoys running, hiking, traveling, and spending time with family and friends. He is also passionate about sports, especially soccer and football. Dr. Yi is a native of El Paso, Texas, and he earned his undergraduate degree from the University of Texas in San Antonio. He decided to stay in San Antonio to attend the University of Texas Health Science Center, where he earned his doctorate of dental surgery degree. Dr. Yi loves working with his patients, and does whatever is necessary to ensure they’re relaxed and comfortable when in his care. He believes continuing education is important, and attends relevant courses to stay on top of the latest advancements in the dental industry. 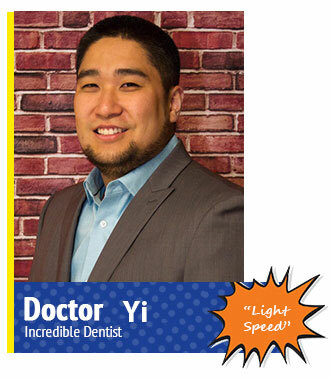 In his free time, Dr. Yi enjoys spending time with his family, and he’s an avid sports fan. 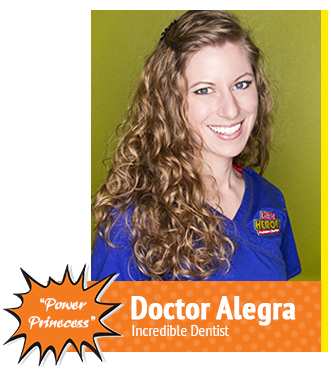 The sugar bug battleground is Dr Alegra’s favorite Super Place. She can often be found taking a few extra moments to share with families how to prevent cavities. She has a passion for helping kids stay healthy and happy. She began to learn her super powers at the early age of 15 when she assisted a dentist near Philadelphia, Pennsylvania who loved his patients and showed her the art of dentistry. She started her advanced power training with a full scholarship to dental hygiene school. Since then she has earned 3 degrees including her doctorate from Temple Dental School and 2 certificates. Her final certificate was received from the University of Minnesota as a pediatric dentist. She has been honored multiple times, receiving awards for dental health education and as the Most Outstanding Female Dentist in her dental class. Her favorite achievement, capturing the heart of her husband, “The Closer” Abe, makes her even more energized as he is always devising new schemes to combat those crazy sugar bugs. Together they hope to empower kids throughout the Valley to make it Cape Time and defeat sugar bugs every day.